Our X-Men read order list is very popular, but was kept concise, omiting many titles from the X-Men universe. Before, you had to have to look elsewhere for a Wolverine reading order, as the reading order focused on the core X-Men titles. A major update to this list occured today that changes all that. 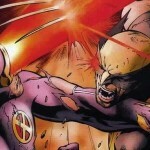 One of the biggest additions to the list is the addition of the main Wolverine titles. This includes the first limited series, as well as the next three main series. Still omitted are the many Wolverine one-shots. 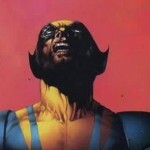 Now you can search for Wolverine in our chronological X-Men reading order to get a near-complete Wolverine reading order. 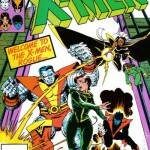 Also included in this update are the other X-Men family titles which weren’t complete in our read order, such as X-Force, X-Factor and Excalibur. Also included are a few single character limited series. While the later issues do not have the data earlier issues have, such as creator and roster details, the most essential part, which is the order of issues, extends all the way to the recent Schism storyline prelude. 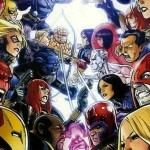 What’s Next For the Chronological X-Men Reading Order? Naturally, we are looking at completing all the details related to the newer issues added recently. We also hope to review many of the characters included to first slim down the results for characters with few appearances (say, less than 20 appearances), or that are always synonymous with their team name (i.e. Dark Riders). Let us know which characters you would like to see included in this list. Finally, we also hope to add location specific information, such as “Genosha”, “Madripoor” and “Savage Land”. Which unique X-Men locales would you like to see included in the reading order details? If you have any request or changes to the X-Men and Wolverine reading order, please leave them in the comments.